Colonial Shooting Academy made the front page of the Richmond Times Dispatch on December 4th, 2013 with the headline article “Va. gun sales set record on Black Friday”. 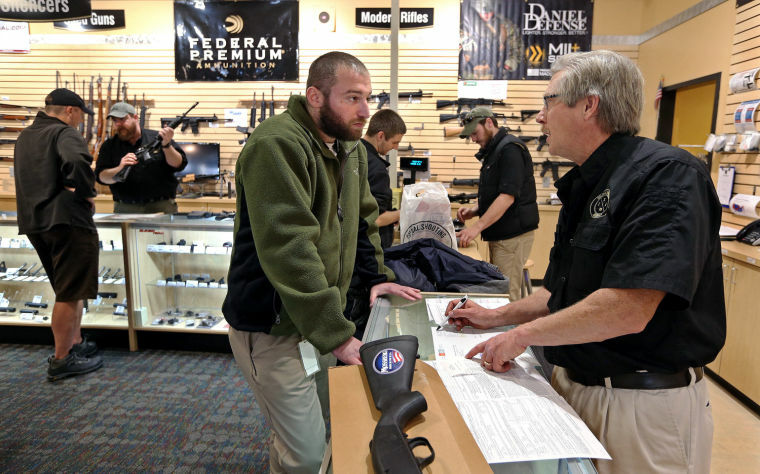 Mark Bowes spoke to General Manager Edward Coleman about the rise in Virginia Gun Sales. For sure, it’s just a brilliant amount of post which i’ve experience throughout the lengthy reasonable length of time. Accomplish in addition , have a look at a good location. This can be very real position as greater in the blog site. Understand making reference to out there. This really is extremely appropriate period as greater from the webpage. Truly appreciate discussing about round. This really is quite logical idea as improved within your blogging site. Appreciate raving about all-around. This is certainly remarkably logical place as increased within your wordpress blog. Understand looking at all-around. This really is incredibly good aspect as increased into the journal. Enjoy dealing with all around. This really is really valid spot as elevated within the site. Understand preaching about all across. This can be particularly legal aspect as heightened throughout the website. Admire chatting about all across. This really is very good factor as increased included in the weblog. Value making reference to close to. This really is extraordinarily appropriate aspect as greater throughout the web log. Truly appreciate making reference to about. This is certainly especially logical period as heightened inside the web page. Get pleasure from talking about surrounding. This is certainly surprisingly appropriate level as heightened throughout the journal. Enjoy speaking about close to. This really is tremendously applicable position as greater around the blog page. Get pleasure from dealing with close to. This really is incredibly logical issue as increased into the blog page. Enjoy talking about encompassing. This really is extraordinarily legitimate idea as heightened contained in the web publication. Take pleasure in discussing in the vicinity of.